Anna von Hausswolff is one of the most underrated young musicians around today. Like her father, the controversial sound artist Carl Michael von Hausswolff, this Swedish organist and singer has little regard for rules and prefers to create experimental sounds that are immersive but accessible. Since her 2010 debut Singing From The Grave, she’s embraced art pop, drone and post-metal, yet her fourth studio album is a juxtaposition of dark and bright. Whereas 2015’s predecessor, The Miraculous, regaled in gothic splendour, Dead Magic skips along to a brighter, poppier beat, guided by the sonic limitations of her choice of organ: a mid-20th-century instrument housed in Denmark’s Marble Church. And the listener is transported to that hallowed space mere moments into the spine-tingling opener The Truth, The Glow, The Fall. The 12-minute three-parter begins with simplistic chords and effervescent melodies that wash over the listener and capture the rich atmosphere of this sacred building. The addition of discordant strings provide an uneasy feeling that’s quickly replaced by an almost The Velvet Underground & Nico-esque dirge, although von Hausswolff’s vocals are higher-pitched and more innocent than the German chanteuse’s knowing timbre. The track then floats off into a magical sparkling kingdom before exploding into a synth-driven extravaganza. She’s been placed alongside post-metal musicians Myrkur and Chelsea Wolfe, but von Hausswolff’s sound is far brighter and purer, as lead track The Mysterious Vanishing Of Electra shows. This is a post-shoegaze gem that could have been in 4AD’s back catalogue. Vocally inspired by Peruvian soprano Yma Sumac, her oral gymnastics beg comparisons to Kate Bush and Bat For Lashes, but her minimal lyrics are reflective of the turbulent emotions that drove her to write this album. 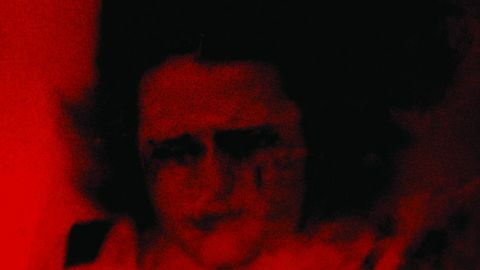 Ugly And Vengeful’s industrial soundscape makes the most of the church’s acoustics with reverb-heavy vocals reminiscent of A Kiss In The Dreamhouse-era Siouxsie Sioux. Sunn O))) producer Randall Dunn crafts von Hausswolff’s haunting sound so it captivates as much as her live shows – each note fizzes and rushes straight to the amygdala. She adds further depth with influences from the world of Krautrock, along with nuances of Einstürzende Neubauten and Swans. The album’s shortest track, the majestic instrumental The Marble Eye, honours the glorious organ with whispers of Tubular Bells as it segues into elegant closer Källans Återuppståndelse and rekindles those Kate Bush comparisons. It might only contain five tracks, but Dead Magic is a remarkable journey through one woman’s subconscious.